Carrier dumpers, or track carriers, deliver superior traction and more rugged performance compared to conventional dump trucks. Their compact size gives them go-anywhere flexibility that's perfect for landscaping, general construction and other material handling applications. Working in rough terrain can quickly wear out a dumper carrier's tracks. For added durability, considering upgrading to an aftermarket replacement from McLaren Industries. We carry a wide range of high-performance multi-terrain dumper tracks that offer improved strength and performance — without sacrificing operator comfort. Keep reading to learn more about our products and the advantages they offer compared to OEM. 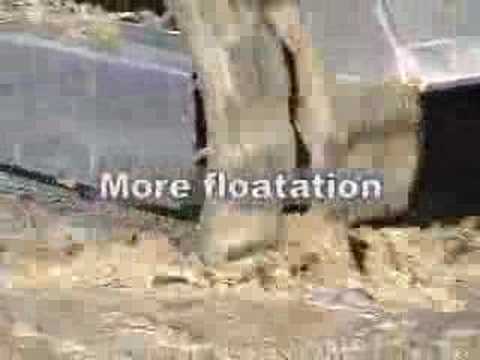 Why Use McLaren Industries Dumper Tracks? 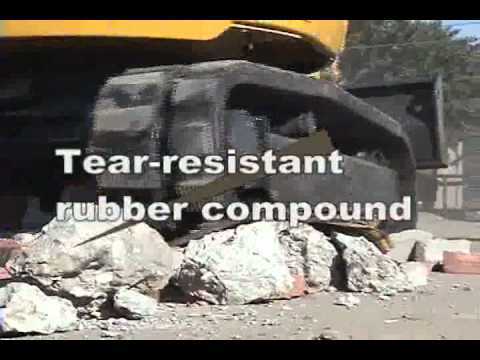 Rubber tracks are your carrier dumper's most direct connection to the ground. Most OEMs engineer their stock tracks for general purpose applications. A quality aftermarket replacement will deliver noticeable performance improvements as well as tangible benefits to your bottom line. If you're working in rough terrain or difficult conditions — or if you want something that will last longer and help you avoid downtime — upgrading to a heavy-duty alternative is a great idea. McLaren Industries' multi-terrain dumper tracks deliver increased productivity and longer undercarriage life for your machine. We engineer our products to minimize vibration and deliver a smooth ride, adding to operator comfort and reducing fatigue over a long shift. Most importantly, our rubber tracks last longer than an OEM part, leading extended service intervals, less downtime and, ultimately, a more productive and cost-effective fleet. Switching out the OEM tracks for a McLaren Industries product is fast and easy. Our rubber dumper tracks work with equipment by all leading manufacturers and are available with a variety of sizes, configurations and tread patterns. - NextGen: The NextGen series is our most advanced multi-terrain dumper track product line. NextGen tracks feature our proprietary SpoolRite Belting Technology™, which contains a single, non-overlapping steel belt for additional strength, with no natural weak points that can break when stressed. The track itself is manufactured using our wear-resistant rubber compound for improved service life. NextGen tracks range in size from 180 to 900 mm and are available with various tread patterns. 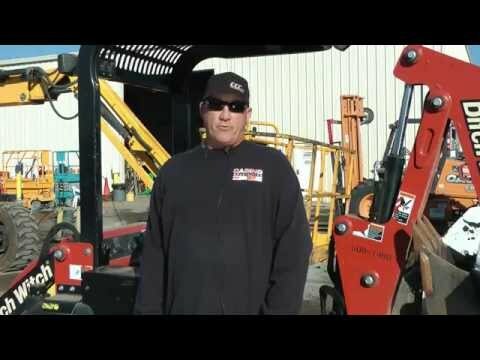 - Maximizer: The Maximizer product line offers many of the benefits of NextGen tracks in a more economical package that's ideal for businesses on a budget. Maximizer tracks contain a continuous reinforced steel belt as well as up to 30% more rubber than other products in their class. Offering the highest quality at the lowest price, Maximizer tracks are a great choice that will deliver long-term integrity and durability. Sizes range from 180 to 320 mm. Call us at (800) 836-0040 to learn more, or if you're ready to get started, you can request a quote online for a set of replacement tracks for your carrier dumper. Next Generation rubber tracks outperform other premium tracks on OEM tests. Choosing premium rubber tracks by McLaren is a guarantee for increased productivity and longer undercarriage work life for your machine. McLaren rubber tracks for dumpers fit most popular dumper machines and carriers manufactured by Morooka, Komatsu, Yanmar, Hinowa, Kubota, and Canycom. From 180 to 900 mm wide tracks. Cost effective aftermarket rubber tracks for mini dumpers and carriers: the Maximizer rubber tracks provide reliability at the right cost. 180 and 320 mm wide tracks. Maximizer Series of replacement rubber tracks offer reliable quality at the lowest possible price. Maximizer rubber tracks are built with a cost effective rubber compound and reinforced continuous steel belt to ensure rubber track integrity and durability.